Happy New Year! New Dashboard and Live Analytics including Social Media! Throughout 2018 we have been listening to you about the need for new analytics that truly gives you the information you need to drive monetization and engagement. Thanks for your input, we listened and you're going to love what we've done! Your new dashboard has a new look, live analytics at a glance both the Corporate and local level help you identify wins and losses. Plus, new social media metrics, listener heat maps, and affinity categories help you make more informed decisions for Sales and Programming. No more guessing and a faster path to revenue and more quarter hour listening. 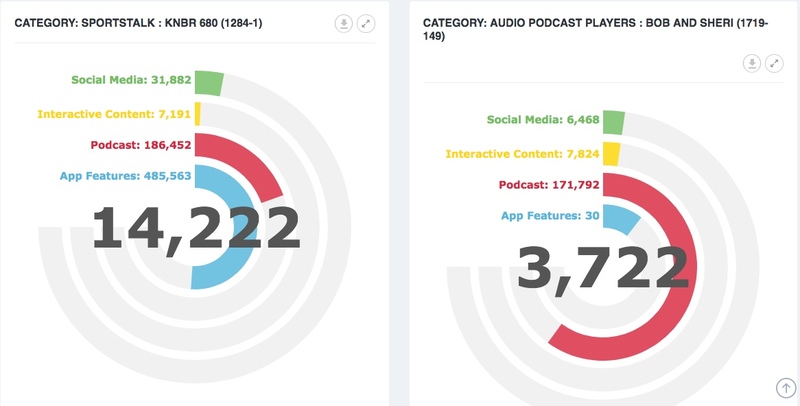 Your proprietary AirKast "Engagement Factor" helps you compare your monthly performance by giving you a common metric to measure your growth by looking at engagement across all aspect of your audience usage including podcasting, smart speakers, mobile streaming and social media channels. Make decisions faster and more accurately with big data! See your current and previous month Engagement Factors along with Monthly Sessions at a glance! 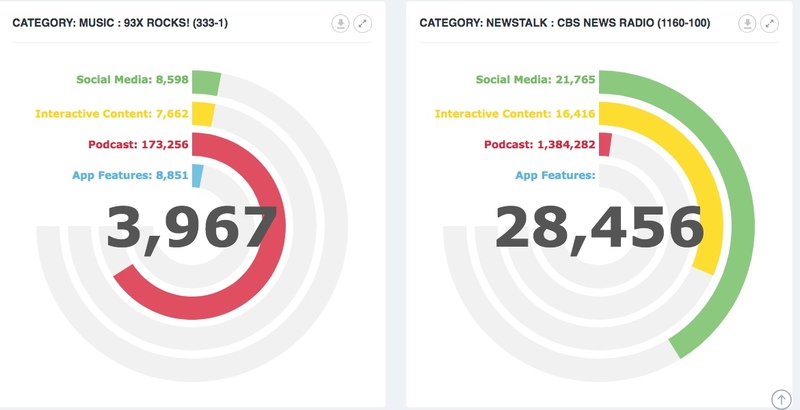 New interactive charts at both the corporate and local station level help you identify new mobile opportunities for sales and programming! New Age, Gender and Affinity category data that keeps you and your team informed as your mobile strategy and engagement grow! Ever wonder how your mobile audience engages with your social media posts? Track which posts get the most click-throughs and see the content that grabs the attention of your audience! Now you can see what product categories your mobile listeners are most interested and target new clients with data! Now every time you add a piece of content to your website promotion slider it automatically appears on the homepage of your mobile app! Get the performance metrics and upsell your clients! Contact clientsupport@airkast.com to get it turned on! Need training for Programming and Sales departments? All of us at AirKast are thrilled to announce our official partnership with Microsoft and Cortana Skills! 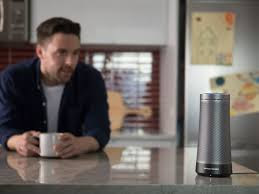 With the launch of the new Harman Kardon Invoke speaker, consumers now have access to a home speaker that combines premium Harman Kardon audio with Cortana’s intelligence. The speaker comes with first-party music integrations to Spotify, iHeartRadio, and TuneIn, but there are a number of 3rd party skills that utilize the audio streaming functionality of the Cortana Skills Kit to provide premium audio content to consumers. AirKast, one of our partners, worked closely with the team to build on these features to ship a number of radio skills for Cortana. AirKast is a category leader in audio streaming that works with over 60 media companies -- including CBS Radio News, Fox Radio News, and Cumulus Media. AirKast uses it's proprietary technology to create applications that are used for listening and interacting with radio station streams and advertisings. Working closely with the Cortana team, AirKast was able to publish multiple skills in a short duration using the Microsoft Bot Framework and the audio streaming capability of the Cortana Skills Kit. One of their Cortana Skills, for CBS News Radio, helps you listen to live CBS news feed on Cortana from anywhere - just say "Hey Cortana, Open CBS News Radio". Larry Leung, CEO of AirKast Inc., says "We are just getting started and wanted to show the world what is possible with Cortana and IoT. We at AirKast are thrilled about the engagement so far and its potential to further advance our customers’ presence; it’s just the beginning." Microsoft's Cortana and AirKast: A Match Made In Heaven. It's nearly impossible to turn on a television, open a magazine, walk into a retail store, shop online or turn on the radio without hearing about a new smart speaker. The world is rapidly changing to a 'screen-less' world and your voice, now more than ever is in control. This holiday season, smart speakers will be the hottest gift item due to their low cost and infinite power as a digital assistant. Simple tasks such as finding time and weather, recipes, sports scores and news headlines become as easy as saying "start" or "play". AirKast is proud to have been asked to be a beta partner in the development of Cortana smart speaker skills for Microsoft. The newly released "Invoke" speaker from Harman-Kardon is the newest entry into the home entertainment world. It's sleek design, numerous speakers for high fidelity playback and tap pad for shortcuts are just part of this amazing new product. Inside the Invoke are three woofers, three tweeters, two passive radiators, and a 40 - watt amplifier that creates a 360 degree sound that can fill a room and seven microphones so it can hear you from anywhere. Check out the full capabilities here. What also differentiates the Cortana is that it not only works with smart speakers, it's compatible and/or pre-installed on all Windows 10 personal computers and Xbox and even your Android and Apple phones; opening up a whole new world beyond its competitors. This ubiquitous distribution across multiple platforms is the first step in voice activation, anywhere, anytime and on any device. It integrates with Skype, Linkedin, Outlook and Office 365 to name a few creating seamless integration into your daily personal and business life. Another difference is that Cortana works with "AI or Artificial Intelligence" Bot's, little pieces of code that control your voice commands. No more need to install skills or say "Alexa play" all you have to do is tap Cortana say "Start" and your audio session begins. The world of AI in 2017 will be everywhere from personal assistants and smart speakers to industrial automation, the power of the human voice is changing the world at lightning speed and AirKast will continue to build smart speaker skills on all platforms for our clients as they emerge. Pleasanton, CA, August 18, 2017 -- AirKast Inc., a leader in mobile app development for broadcasters and media companies, announced today that it has developed and will be providing free Alexa skills for all its customers -- including over 800 North American radio stations, syndicated radio hosts and podcasters -- so they can bring compelling voice interaction to their audiences. Beyond the basic launching of radio music streams, AirKast’s unique Alexa skills will enable listeners to explore, interact and request other content from stations and hosts available through their own branded mobile apps. “We expect that these new Alexa skills will be quite beneficial to radio stations -- by permitting them to forge easy-to-use personal connections with their audiences, and by giving them new content whenever and wherever they want it," explained AirKast CEO Larry Leung. "It’s our mission to not only provide basic Alexa skills, but also more advanced voice recognition, so fans can interact with a radio station’s podcasts, show schedules and other application-based content,” he added. "The radio industry is excited to see the resurgence of ‘at home’ audio usage as it's been competing with other digital music services." "The effort to deploy Alexa skills is so minimal, it makes perfect sense to offer it free of charge," Leung stressed. AirKast also offers Apple Car Play and Android Auto functionality for free -- which will be relaunched with auto voice controls -- and believes Alexa voice commands will significantly enhance that experience. AirKast is a category leader that works with over 60 media companies -- including CBS Radio News, Fox Radio News and Cumulus Media -- as well as syndicated show personalities like Mark Levin. AirKast uses its proprietary “AirBridge” platform and “Air Connectors” to create mobile applications that are used for listening and interacting with radio station streams and advertisings. Best Practices: If You Use Push Notifications...Don't Be Pushy. One of the most powerful tactics in your mobile arsenal is the use of push notifications. It's important to remember that fans have self selected to 'opt-in' for the information and with that comes great responsibility. More than any other mobile feature the acceptance of a push notification implies that the user trusts you'll be respectful of their time. Marketing Land authored recently published "5 must-do push notification best practices for mobile marketers". The article makes light of some key things to take into account when planning a push strategy. If you don't have a long term, measurable strategy you're just using the tool as a tactic for short term gain. 4. "Timing matters and so does testing"
5. "Use proven words and CTA's to entice users to take action"
In an on demand world everything is breaking news, so how do we define what's "BIG"? Think of it this way, scarcity and limited time events create interest and fear of missing out. So ask yourself "Is this push notification exciting and relevant enough to have engagement impact". The more relevant the information to the user, the greater the response rate. Are you doing notification blasts and hoping for the best or have you researched and segmented your database before you set your push strategy. Is it downloads? Is it click throughs? Is it UGC? How will you measure your results and benchmark it's success? Ready, Aim Fire! Be sensitive to the scheduling of your messages. When do you see the biggest usage peaks in your mobile app? Are you using intelligent sending? Are you using multi-language support? Are you geo-targeting your messages? These are critical things to think about before you send to the masses. Words sell, it's that simple. Do your homework and think high impact/low word count when crafting your messages. Broadcasters need to be mindful of what they push out. Irrelevant sales promotions will be your death knell so filter your opportunities wisely. Push notifications should be about experience first and sales second. "Wendy's wants you to sit in the first row for free" is different than a "2 for one" Remember points 1 and 2 before you send a message, always question yourself "is it big enough and relevant enough" to use this sacred form of communication.